That I specialize in Laravel development, it’s what 90% of my blog content comprises of. I want to kick off 2017 with my new online coding classes, these will be Youtube series (mostly screen recordings, but a few face to camera as well you can subscribe to my channel here), designed to teach coding to beginners as well as advance methodologies for more seasoned programmers. 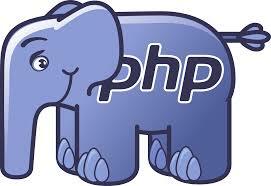 The main concern I receive from newcomers coming to my site, is that they would like to see more basic PHP tutorials. As I thought about it, I couldn’t agree more, thus today starts the crash course in PHP lessons. I say crash course because I’m only going over the basic concepts, enough where the Laravel code will start making more sense to the n00bs. PHP is a server-side scripting language designed primarily for web development but also used as a general-purpose programming language. It powers the majority of websites in the world (82.3%). The largest social media platform (Facebook) is powered by PHP, among others. It by far has the most support libraries than any other language. It is free to use and develop with both for personal and commercial applications, making it ideal for programmers with a low budget. PHP code can be directly embedded into HTML, making it ideal to create rich dynamic web pages (and apps). Mac users have the option of using Laravel Valet as well. The semicolon tells the preprocessor that the PHP statement is completed. If you run the following command you should see the text “Hello World!” pop up. This is the most basic syntax of PHP, next we will go over variables and data types. If you haven’t please subscribe to my newsletter to get real time updates when I push new material.